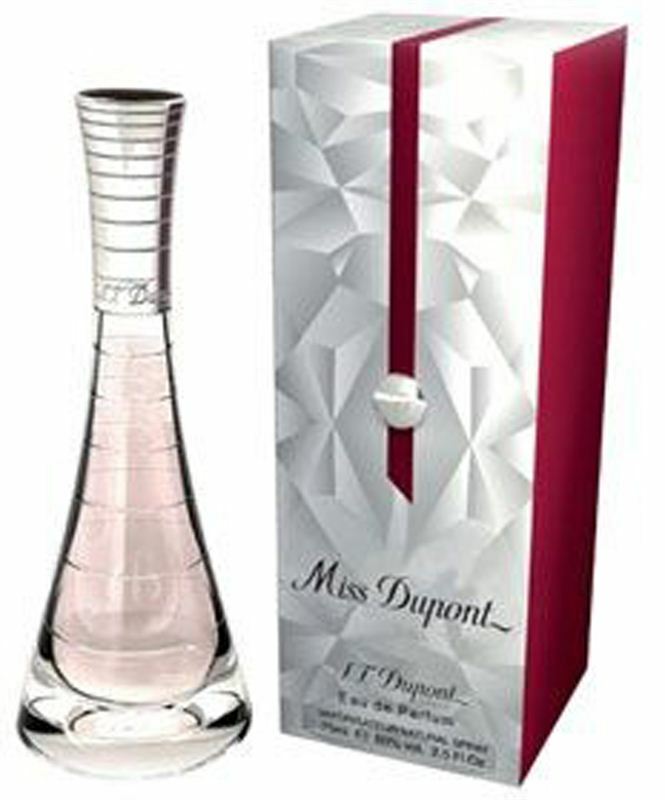 Miss Dupont addresses modern and eccentric ladies full of confidence and desire for luxury. It is the scent of a woman who undeniably leaves a mark ominously irresistible. The floral oriental compositions opens with sparks of fresh peaches grapefruit and galbanum. the charming lady's heart is built around rose with additional oriental wood notes of sandalwood and vetiver oil. The depth and intensity are obtained by the base of amber musk and vanilla which releases the female sensuality making this the ideal evening choice of a perfume.